The World Engagement Institute (WEInstitute) is an Illinois Not-For-Profit Corporation. The WEInstitute's is overseen, advised, and informed by two Boards, both composed of highly professional, managerially astute, and experientially seasoned members with international capacity-development and academic backgrounds. The WEInstitute's day-to-day academic and business operations are managed by its Senior Staff, each with over thirty year's experience. These Staff are overseen by WEInstitute's Board of Directors. The Board of Directors holds periodic meetings with WEInstitute's Senior Staff and applies its stewardship in close dialogue with them. WEInstitute's Board of Directors and Staff are also privileged to receive policy advice and guidance from an honorary Board of Advisers, composed of internationally renowned multidisciplinary experts from fields as diverse as human rights development, institutional capacity-development, education, entrepreneurship, business management, economics, human security, anthropology, inter-cultural communication, justice sector reform, rule of law advancement, ethics, philosophy, and theology. The width and breadth of WEInstitute's international operations require coordination and unity of effort among these various leaders. They also require: mission-centered, culturally sensitive, cross-sectoral, locally focused, and sustainable partnerships; values-driven leadership; innovative thinking; and pragmatic operationalization - all united behind WEInstitute's commitment to integrity, service and excellence. Dr. Marco Tavanti, Ph.D. is co-founder of the World Engagement Institute (WEI) and President of the Sustainable Capacity International Institute (SCII), a European based international NGO and nonprofit organization. He is full professor at the University of San Francisco's School of Management and Program Director of the Master of Nonprofit Administration (MNA). He previously Chaired the International Public Service graduate Program (IPS) at DePaul University's Graduate School of Public Service in Chicago. Dr. Tavanti is an international sociologist and leadership development professional dedicated to social innovation, sustainable development and capacity building worldwide. With more than 25 years of international experience working in Europe, East-Africa, Latin America and South-East Asia, Dr. Tavanti integrates his scholarship with practical knowledge of non-governmental organizations (NGOs), sustainable development practices and indigenous human rights. He is an international expert and consultant for several international organizations, UN agencies, and NGOs engaged in anti-human trafficking, good governance, and sustainable community development. His scholarship includes several publications in the area of international development and leadership development (DMT). His international background includes the social impact assessment of university-community partnerships in Manila, Philippines (2007-2012); promotion of indigenous rights and sustainable development in Chiapas, Mexico (2004-2010); participation in humanitarian relief operations in Bosnia-Herzegovina (1993); post-conflict reconstruction projects for land rights in Mozambique (1986-1987), among others. He designed and promoted the WE institute academic centered methods (ASR) and various initiatives for engaging American and European universities with academic institutions and programs in the global south. MS. elizabeth A. wilp, ms/med. Ms. Elizabeth (Liz) Wilp, MS, MEd has over 25 years professional experience in leading organizations and programs for social sustainability and educational inclusion solutions in programs and nonprofit management. Through various international experiences in Europe, West Africa, South East Asia and Latin America, Liz has acquired expertise in developing effective cross-cultural educational programs adapted to diverse learners and populations in need. She is the Executive Vice President for the European-based Sustainable Capacity international Institute (SCIInstitute.org) and the affiliated US-based SDG.services where she provides sustainability leadership research and coordination for the capacity development. Her area of expertise is large-scale multi-sector partnerships, sustainable development education, cross-cultural communication and inclusive learning. She is co-founder and past Vice President for Administration of the World Engagement Institute (WEI), an international organization specialized in transitional justice and anti-human trafficking trainings and a co-founder of the Sustainable Capacity International Institute in Italy, Europe. She previously worked for DePaul University Chicago’s Chaddick Institute for Metropolitan Development, the Center for Urban Education, Community Government Relations, Joliet Junior College, Saint Augustine College and Chicago Public Schools. She coordinated large-scale collaborative initiatives and high-profile partnerships for the Chicago area’s Burnham Plan Centennial Celebrations. She is recipient of the National Endowment for Humanity award and holds Master of Science in Public Service Management, a Master of Arts in Education and a double-major Bachelor of Arts in Political Science and French. Her research and publications include Homo Universalis: Humanistic Leadership Values for Global Social Innovation from the Renaissance of Florence to San Francisco’s Silicon Valley (2019); Globally Responsible Management Education: From Principled Challenges to Practical Opportunities (2015); Fostering a Double Bottom Line: Developing a Sustainable Program and Business Plan for a Disadvantaged Community Youth Center (2004). Asma Afsaruddin is professor of Islamic Studies and chairperson of the Department of Near Eastern Languages and Cultures at Indiana University, Bloomington. She received her Ph.D. in Near Eastern Studies from the Johns Hopkins University in 1993 and previously taught at Harvard and Notre Dame universities. Her fields of specialization are the religious and political thought of Islam, Qur’an and hadith, Islamic intellectual history, and gender. Professor Afsaruddin is the author and/or editor of six books, including the forthcoming Striving in the Path of God: Jihad and Martyrdom in Islamic Thought and Praxis (Oxford: Oxford University Press, 2012); the recently published Islam, the State and Political Authority: Medieval Issues and Modern Concerns (New York: Palgrave, 2011); The First Muslims: History and Memory (Oxford: OneWorld Publications 2008); and Excellence and Precedence: Medieval Islamic Discourse on Legitimate Leadership (Leiden: E.J. Brill, 2002). She has also written over fifty research articles, book chapters, and encyclopedia entries exploring issues as diverse as pluralism and dialogue in the Qur’an, moderation in Islamic thought; exegetical, legal, and ethical approaches to war and peace in Islam, political Islam and democracy, hadith criticism, roles of Muslim women, and Muslim-Christian relations. She lectures widely in the US, Europe, and the Middle East on these topics and frequently consults with US governmental and private agencies and media outlets on contemporary Islamic movements, inter-faith, and gender issues. Afsaruddin is currently a senior editor of the Oxford Encyclopedia of Islam and Women (2012), chair of the board of directors of the Center for the Study of Islam and Democracy, member of the advisory board of the Intertwined Worlds project based at the Woolf Institute, Cambridge University, and a member of the academic council of the Prince al-Waleed Center for Muslim-Christian Understanding at Georgetown University. She was previously an advisor to the Pew Forum on Religion and Public Life for the project “Global Survey of Muslims,” and served on the editorial boards of the Oxford Encyclopedia of the Islamic World and Religion Compass. Her research has been funded among others by the American Research Institute of Turkey, the Harry Frank Guggenheim Foundation and the Carnegie Corporation of New York, which named her a Carnegie Scholar in 2005. H.E. Dr. Mohammed Al-Hadid, Ph.D.
H.E. Dr Mohammed Al-Hadid, Ph.D., is the President of the Jordan National Red Crescent Society, and has served in the Standing Commission of the Red Cross and Red Crescent (IC) as Chair and Vice Chair during his previous terms. He chaired the 29th International Conference of the Red Cross and Red Crescent in 2006, which adopted the necessary statutory changes to accommodate the additional emblem, the Red Crystal, bringing a solution to the decades-long issue and allowing the Magen David Adom in Israel and the Palestinian Red Cross Society to join the Movement as full members. Dr. Al-Hadid was educated at College de la Salle. He completed his higher education at Coventry Technical College, then at Birmingham University, England. He holds a Ph.D. in clinical chemistry and did his training in Birmingham and West Midlands hospitals, United Kingdom. He also holds an honorary doctorate from Ben Gurion University. Dr. Al-Hadid was awarded the title of “Maali /Excellency/ Minister” by H.M King Abdulla II in December 2003 upon his election as chairman of the standing commission of the Red Cross/Red Crescent by the International Conference held in Geneva, and in recognition of services rendered to his country. He was elected Chair of the Standing Commission of the Red Cross and Red Crescent in December 2003 and re-elected in 2007 until November 2009 . He has been the President of Jordan Red Crescent since January 1993. Dr. Al-Hadid has served as Vice-Chair of the Jordanian National Committee for International Humanitarian Law since July 1997. He has been a member of the Higher Council for Civil Defence in Jordan since 1998. He has also been: a member of the International Executive Committee at McGill University MMEP – Canada since June 1998; a member of the Board of Jordan Youth Premier Division Football Club since 2002; a member of the council of the IIHL in Sanremo since May 2007; Vice Chair of the National Committee for prevention of AIDS since 2002; Board Member in the Faculty of Medicine at the University of Jordan (2002-2010); and member of the Board of Trustees of the National Centre for Human Rights (2003 -2007). Dr. Mohammed Al-Hadid wishes to see a strengthened Red Cross/Red Crescent Movement, able to serve effectively the victims of wars and adversity in the ever changing world. He finds it important to analyze and learn from experiences especially in cooperation and coordination to ensure efficient response whenever needed. He would further want to clarify and strengthen the Standing Commission’s role as the trustee of the International Conference and involve more National Societies as primary actors when addressing the Movement’s internal and external challenges. Nabil Y. Barakat is the President & Chief Executive Officer of Wamar International Group LLC. With a technical education in electrical and computer engineering from Oregon State University, MIT and Graduate studies in Air Transport and Air Law at Cranfield University in England, Mr. Barakat spent several years in high-level positions with one of the world's leading aerospace companies. He founded Wamar in 1983, and since then the company has grown to work with some of the world's leading organizations. Mr. Barakat is assisted at Wamar by a highly skilled team of technical professionals located in leading cities around the world. Mr. Barakat has played a very active role as a Senior Advisor since 1983 till date for major international Fortune 100 companies. Mr. Barakat was appointed for the following: Appointed by the US Secretary of Commerce as a member of the US Business Dialogue (USIBD) for a term of three years from July 2009 to July 2012; Appointed by Royal Decree as Member of the Board of Trustees for The University of Jordan (2000-2005); Appointed by Government Decree (Prime Minister of Jordan) as Chairman of Amman Surgical Hospital, one of the leading hospitals in the Kingdom of Jordan, to oversee the restructuring and reorganization of the hospital (2000-2003). Appointed as a Member of the University of Jordan Board of Scientific Research (1997-2004); Appointed Armenia’s Consul General to Jordan (1997-2001); Appointed as a Member of the University of Balqa’a Advisory Board (2002-2004). Member of The American Society of Mechanical Engineers (ASME) and the American Institute of Aeronautics and Astronautics (AIAA). H.E. Maurice Biggar, Esq., is a lawyer, administrator, consultant and retired senior Irish diplomat, who has routinely advised the Irish government on legal, political, economic, trading, human rights and development issues. He previously served as Deputy Head of Mission, accredited to the EU, UN, OECD and Embassies of Belgium and Luxembourg. As a senior diplomat, he advised the Irish Minister for Foreign Affairs on a wide variety of European and international legal issues. He also wrote opinions about the Irish Constitution, the EU Treaties, the UN Charter, international criminal law and human rights. Mr. Biggar provided legal and political advice to the Counter-Terrorism Committee established by the Security Council following Al-Qaida’s terrorist attacks on 11 September 2001 (9/11); he presented Ireland’s case supporting the establishment of the International Criminal Court before the United Nations General Assembly; and he handled the Irish dossiers on corporate taxation, money-laundering, development aid and the Organisation’s budget at the OECD. In addition, he founded and served as the Governor of the European Endowment for Democracy; he has lectured on the European Union at the National University of Ireland; and analyzed the significance of the Lisbon Treaty. Hashmat Effendi – awarded the Sitare e Imtiaz by the government of Pakistan – is the Executive Director and Founder of the House of Charity (HOC), a Houston-based non-governmental organization dedicated to providing humanitarian assistance to developing countries in South Asia, Latin America, and Africa. Her work includes providing medical and surgical care, medical supplies and equipment, emergency assistance and relief, education, and vocational training to those in need. Mohtarama Hashmat Effendi 's efforts have been widely applauded, and she has routinely been asked to address members of the U.S. Congress, senior U.S. government officials, foreign government dignitaries and officials, national and foreign media, prestigious U.S. universities, and a variety of other groups and organizations on the suffering of children in developing countries. Since 1996, The House of Charity has been helping underprivileged children around the world through medical missions, surgical treatments, hospital upgrades and more. In 2010 alone, the HOC treated over 1000 children for cleft lip and palate disorder, a disability that not only affects the physical appearance of a child but hinders the basic fundamentals such as eating and drinking. Further, on a nearly monthly basis, the HOC deploys medical missions to developing countries. In doing so, they create training centers and provide professional up-grade training for Nurses and Doctors in some of the countries we visit. They also treat countless children who would otherwise not have the means to be treated. Mandana Hendessi is a development professional with over 25 years of experience in management, consulting, designing and developing programmes for civil society organizations and NGOs, and more recently the UN, covering a diversity of social development, human rights and rule of law matters. She has a solid background in developing and managing programmes ranging from gender mainstreaming to gender-based violence and strengthening women’s political leadership. Ms Hendessi has worked on projects in sensitive and conflict-affected countries such as Iraq and Afghanistan, interfacing with political and civil society leaders on developing strategies for the inclusion of women in governance and democratic structures, the elimination of violence against women and their access to justice, in line with UN Security Council Resolution 1325. In addition to research and advocacy as means of bringing about transformative change, Ms Hendessi developed comprehensive capacity-building and internship programmes targeting civil society as well as government officials and international institutions. For her accomplishments in this critical role, She was awarded the Order of the British Empire (OBE) in 2005. Ms Hendessi currently manages a theme-based programme at International Alert, a British-based international peace-building NGO, focusing on climate change, aid effectiveness, gender relations and women’s social status, security reform, governance, income and assets, state and citizen relations as factors affecting peace-building in fragile states and conflict-affected countries. Ms. Hendessi is a native Farsi/Dari speaker, is fluent in English and has good knowledge of Arabic. She holds a master’s degree in sociology and social policy. _Major General Arnold Fields (Ret. ), M.A. Major General Arnold Fields (Ret.) is a Consultant for the National Academy of Public Administration. The NAPA was created to help public sector leaders meet the important and varied management challenges of today and anticipate those of the future. General Fields previously served as the Special Inspector General for Afghanistan Reconstruction (SIGAR), a position to which appointed by The President of the United States on 12 June 2008. He was sworn in on 22 July 2008 by the Deputy Secretary of Defense and reported directly to both the Secretary of Defense and the Secretary of State. The SIGAR was mandated by the National Defense Authorization Act for Fiscal Year 2008 and formally reported to Congress each fiscal quarter. Among a number of tasks, SIGAR provided for the independent and objective conduct and supervision of audits and investigations relating to the programs and operations funded with amounts appropriated or otherwise made available for the reconstruction of Afghanistan. Prior to his retirement from the US Marine Corps, General Fields served as Deputy Director of the Africa Center for Strategic Studies, Department of Defense. Prior to the Africa Center, he served as a member of the U.S. Department of State assigned to the Embassy in Iraq where he performed duties as Chief of Staff of the Iraq Reconstruction and Management Office (IRMO). He assisted the U.S. Ambassador and Director of IRMO in coordinating the execution of over $18 billion dollars of U.S. appropriated funds for the reconstruction of Iraq. General Fields returned to the U.S. in October 2005 after serving 14 months in Iraq. Major General Fields retired from the United States Marine Corps in January 2004 after over 34 years of active military service. At the time of his retirement, General Fields was serving as the Deputy Commander of Marine Corps Forces in Europe, headquartered at Stuttgart Germany. He traveled extensively throughout Europe and the African Continent during this period. Previous assignments included: Director of the Marine Corps Staff at Headquarters Marine Corps where he supported the Commandant of the Marine Corps in executive oversight of a defense force of over 250,000 personnel including active duty, reservist, and civilians; Commanding General of Marine Corps Base Hawaii; Commander U.S. Central Command's Forward Headquarters Element, with dual responsibilities as the Inspector General of U.S. Central Command which at that time was responsible for U.S. defense and security interests in the Horn of Africa and all of the Middle East and Southwest Asia; and Chief of the Evaluation and Analysis Division of the Plans and Interoperability Directorate (J-7) of the Joint Staff at the Pentagon. He commanded a training base at Camp Fuji Japan, working closely with senior leaders of Japan in support of U.S. strategic interests and common security needs and objectives. During Operation Desert Shield and Desert Storm, General Fields commanded a Marine infantry battalion in operations against the Iraqi Armed Forces. In 1986, he commanded a major unit of the Marine Security Guards who, under a long-standing relationship between the Marine Corps and the Department of State, provided security at U.S. embassies worldwide, including at least 24 U.S. embassies and consulates spanning 17 countries in North Africa and the Middle East. General Fields served as commander of the North Africa and Middle East component. He resided in Casablanca, Morocco, during this period and worked closely with the U.S. Consul General and Morocco country team. A former recruit trainer, Assistant Director of the Marine Corps Drill Instructor School at Parris Island, SC; and Regional Recruiting Station Commander, General Fields has extensive experience in personnel recruitment and training and in replenishing the defense establishment with high-quality men and women. His personal decorations include the Distinguished Service Medal; Defense Superior Service Medal with one bronze oak leaf cluster in lieu of second award; Bronze Star Medal with Combat "V"; Meritorious Service Medal; Joint Service Commendation Medal; Navy and Marine Corps Commendation Medal; and the Combat Action Ribbon. He was awarded the Department of State's Superior Honor Award for his service with the State Department in Baghdad, Iraq. General Fields enlisted into the Marine Corps in April of 1969 and was commissioned a second lieutenant in November of that year. He holds a Bachelor of Science Degree in Agriculture from South Carolina State University and a Master of Arts Degree in Human Resources Management from Pepperdine University. General Fields is also a graduate of the Army War College; the Marine Corps Command and Staff College; and the Marine Corps Amphibious Warfare School. In August 2007, the Secretary of the Navy appointed General Fields to a four-year term as member of the Board of Visitors, Marine Corps University, Quantico, Virginia. General Fields was appointed by the Secretary of the Navy during April 2011 to serve a second term on the Board of Visitors of Marine Corps University at Quantico, Va. He also sits on the boards of several non-profit foundations, which include Wounded Warrior Family Support (WWFS), Wounded In Action Family Fund (WIAFF), and the New Farmers of America Foundation (FFA), as a member of the Foundation’s Board of Trustees. Richard E. Friedman, JD, currently serves as President and Chair of the National Strategy Forum and Counselor, American Bar Association Standing Committee on Law and National Security. He also serves as a Senior Fellow of Urban and National Security Affairs, at the Syracuse University Maxwell School, National Security Studies program, as well as a member of the Advisory Committee of the Syracuse University Maxwell School of Citizenship and Public Affairs National Security Studies Program. In addition, Mr. Friedman is senior fellow for urban and national security affairs for The Chicago Council on Global Affairs. He most recently served as president and chair of the National Strategy Forum, a Chicago-based think tank organization dedicated to educating the public on national security-related trends and issues. He is a past chair of the American Bar Association Standing Committee on Law and National Security, where he continues to serve as counselor. Mr. Friedman received his education at the Harvard School for Boys; Grinnell College, where he received an AB in 1951; and at Northwestern School of Law, where he received a JD in 1956. He served in the US Air Force from 1951 to 1953 (Lt.) and practiced law in Chicago, Illinois. From 1964 to 1969 he served as first assistant attorney general, State of Illinois. He was executive director of the Better Government Association from 1969 to 1971 and was candidate for the office of mayor of the City of Chicago (1971). Mr. Friedman was co-contributor to the book The Future of Foundations (1975). From 1971 to 1976, Mr. Friedman served as the regional director (Midwest) for the US Department of Health, Education, and Welfare. He received a Presidential Citation for his work on the Indo-Chinese Refugee Resettlement Program (1976). Mr. Friedman has also served on special assignment for the US Department of State in Romania, as a consultant to the government of Republic of Georgia for legislation regarding national security and economic matters, and has participated in strategic planning conferences for Central Asian Republics. In recent years, he has written extensively about how to reconcile the need for enhanced security and the protection of civil liberties. He also serves as Counselor with the American Bar Association Standing Committee on Law and National Security. H.E. Dr. Feisal Amin Rasoul al-Istrabadi, J.D. LL.M., S.J.D. H.E. Dr. Feisal Amin Rasoul al-Istrabadi is Founding Director of the Center for the Study of the Middle East, a Title 6 National Resource Center, at Indiana University—Bloomington, where he is also University Scholar in International Law and Diplomacy at the Maurer School of Law. He holds a Visiting Professorship by Courtesy at the IU School of Public and Environmental Affairs and is Visiting Adjunct Professor in the Department of Near Eastern Languages and Cultures. Emphasizing his primary interest in Iraq, Ambassador al-Istrabadi focuses his research on the processes of building legal and political institutions in countries in transition from dictatorship to democracy. He brings a multi-disciplinary approach to studying the emergence of constitutionalism in such societies, including questions of timing and legitimacy, issues of transitional justice, the political and cultural factors that influence the process of democratization, and the role of multi-national organizations in encouraging such transitions. His book, The Iraqi Supreme Criminal Tribunal: National and International Dimensions, is forthcoming from Cambridge University Press. Ambassador al-Istrabadi lectures often at universities, policy institutes and civic groups on Iraq-related issues. He appears frequently in national and international media. From 2004 to 2010 Ambassador al-Istrabadi served as Iraq’s Deputy Permanent Representative to the United Nations in New York. Prior to this appointment, Dr. al-Istrabadi served as legal advisor to the Iraqi Minister for Foreign Affairs during the negotiations for the U.N. Security Council resolution which recognized the reassertion by Iraq of its sovereignty. He was principal legal drafter of Iraq's interim constitution, the Law of Administration of the State of Iraq for the Transitional Period, and principal author of its Bill of Fundamental Rights. He also served as a Senior Fellow for Legal Reform and Development in the Arab World at the International Human Rights Law Institute at DePaul University's College of Law in Chicago. He was for 15 years a practicing trial lawyer in the United States, with approximately 70 civil trials in federal and state courts. He has an A.B. (Chem) and J.D. from Indiana University—Bloomington, and an LL.M. and S.J.D. from Northwestern University. Dr. Alfredo Sfeir-Younis is a Chilean economist, spiritual leader and healer, presently President of the Zambuling Institute for Human Transformation, founded in 2005 in Washington, DC. Before opening the Institute, Sfeir-Younis had a twenty-nine year career at the World Bank where he was hired as the World Bank’s first environmental economist in 1976 and later was appointed Director of the World Bank Office in Geneva, Switzerland. He served as Special Representative to the United Nations and the World Trade Organization from 1996 to 1999. In both institutions Sfeir-Younis worked in the general fields of human rights, peace, and social justice; within this broader context he initiated and promoted policy in such areas as poverty eradication, international trade and finance, financing of development, gender and women's issues, trade and development, role of indigenous peoples, sustainable management of forestry and fisheries, water management and irrigation, desertification, biodiversity, culture and spirituality in sustainable development, and alternative medicine. He has received numerous awards from international organizations, including the Lifetime Ambassador of Peace (2001), Peace and Tolerance Award (2002), World Healer Award (2002), Messenger of Peace (2002), Peace, Mercy and Tolerance Award (2003), Supreme Advisor of the Buddhist Spiritual Forum Award, World Peace Mercy and Tolerance Award (2004), Diamond Peace Award (2005), and Peace Ambassador Award (2006). Ms. Raenette Taljaard, M.A., M.Sc. Raenette Taljaard is a senior lecturer in public policy at the University of Cape Town. She was previously director of the Helen Suzman Foundation. She was the youngest woman to be elected to the South African parliament when she became an MP in 1999 at the age of 25. She served as shadow minister of finance and was a member of the Portfolio Committee on Finance and the Standing Committee on Public Accounts. Raenette is a Yale World Fellow, a Fellow of the Emerging Leaders Programme of the Centre for Leadership and Public Values (UCT's Graduate School of Business and Duke University) and a Young Global Leader of the World Economic Forum. She holds a BA in law, a BA with honors in political science, and an MA with honors in international relations from the University of Johannesburg, as well as an M.Sc. with honors in public administration and public policy from the London School of Economics and Political Science. Raenette is an alumna of the Prince of Wales Business and Environment Programme at the University of Cambridge. She lectures extensively locally and abroad on the privatization of security, military outsourcing and the need for regulation. She is a Fellow of the fourth class of the Africa Leadership Initiative-South Africa and a member of the Aspen Global Leadership Network. 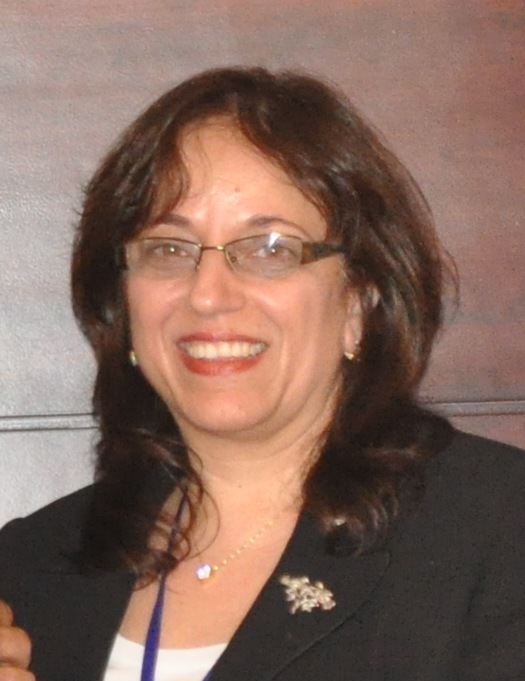 Dr. Nesreen Akhtarkhavari, Ph.D. previously served as the WEInstitute Executive Vice President for Intercultural Communication and Middle East Affairs. Dr. Akhtarkhavari is an international consultant, educator, and training professional with over 25 years of experience. She is currently the Director of Arabic Studies at DePaul University where she manages the program and teaches language, culture, media, and education courses with a focus on the Middle East. Her educational background includes a law degree from the University of Jordan, a Masters in Criminology with focus on Human Rights, and a Ph.D. in Multilingual Multi-Cultural Education from Florida State University. She utilizes her diverse background in developing, designing, and managing needed-based culturally sensitive programs with focus on partnership, engagement, and sustainability. Dr. Akhtarkhavari worked and consulted with major educational institutions in the United States and the Middle East, including Florida State University, the University of Maryland, Middlebury College, Dar Al-Hekma College, Oakton Community College, Illinois Board of Education, Chicago Public Schools, Virginian City School District, the American International Schools-SAIS, and Dar Al-Fikr Schools, among others. Dr. Akhtarkhavari coauthored the National Standards for Teaching Arabic K-16, the Online Arabic Cultural Resources, and served on the Launch Taskforce and Leaders Team of STARTALK (a federal program for critical languages). She has worked with the Illinois State Board of Education and Pearson Education Services on developing Arabic Content Test for teacher certification. As the President of Global Education and Training Services, Inc., an American based-company for training and program development in education, media, and NGO development, Dr. Akhtarkhavari consulted and provided training to major organizations such as the Jeddah Chamber of Commerce, the Jeddah Women Training Center, Wazn for Development and Services, the Saudi National Guard Hospital, Arab News, and Saudi Gazette. She developed and conducted teacher-training for more than 500 teachers in the Middle East per United States funded federal and local grants. Dr. Akhtarkhavari has been instrumental in supporting the development of civic and professional organizations in the Arab world, especially Saudi Arabia. She chaired a number of annual conferences and delivered training on leadership, program development, networking, teamwork, board development, fund-development, international communication, and international consulting. She founded the Saudi Association of Teachers of English (SATA), one of the first professional organization in the Kingdom, participated in the launch of Arabian Society for Human Resource Management (ASHRAM), and helped launch Ma’an, a public awareness NGO sponsored by Arab News. In the United States, Dr. Akhtarkhavari managed a capital campaign raising over 36 million dollars in less than five years, and currently serves on a number of Boards including the Amman Chicago Sister City International, where she also chairs its Education Committee. Ms. Diana Alfaro is a Mexican-American young professional with expertise in human rights advocacy, women rights capacity building and civil society/NGO collaboration. Her expertise includes diversity trainings, youth engagement and civil society organizational development. She earned a Master’s of Science in International Public Service and Bachelors of Arts in Political Science and Latin American/Latino Studies from DePaul University. 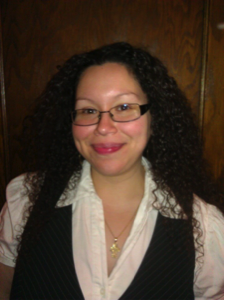 She is a co-founder and active leader of Mujeres Latinas en Acción Young Professionals Advisory Council (YPAC). She serves as a Board Development Coordinator for Empowering Youth Through Travel (EYTT) an organization giving inner city students the opportunity to travel abroad. She has been the coordinator of various international service immersion programs including Duran, Ecuador, Chiapas, Mexico. Her international and multi-cultural experience focuses in the promotion of right-based sustainable development practices for and indigenous and women rights. Ms. Alfaro serves as a mentor to other young professionals who seek a meaningful and impacting international professional career abroad and in the United States. Mr. James Peter Coolsen, M.S.W. Peter Coolsen is the Court Administrator of the Criminal Division, Circuit Court of Cook County, Chicago, Illinois, the largest unified court system in the United States. He was named a Fellow of the Institute for Court Management, National Center for State Courts in 2007 and served on the Board of Directors of the National Association for Court Management (NACM) from 2008-2011. He has expertise in all major areas of court administration including, management of court technology, caseflow management, development of statistical data reports and performance measurement. In addition to his work in government, Mr. Coolsen has had considerable experience providing consultation on strategic planning and organizational development with nonprofit and NGO organizations in the United States, Canada and Southeast Asia. Mr. Coolsen served as a conference participant in Toward Peace building in Iraq, sponsored by the Human Rights Law Institute of DePaul University in February 2011 in Erbil, Iraq. Peter has written extensively on the subjects of court administration, caseflow management, specialized courts, strategic planning and the administration of nonprofit organizations. His publications include the recent Report on the 4th National Symposium on Court Management: State Court Governance and Organization in 2020, published by the National Association for Court Management and Case Management Innovation in a Large, Urban Trial Court published in The Justice System Journal. Mr. Coolsen currently serves as Co-Editor of Court Express the electronic quarterly publication of the National Association for Court Management. Richard Farkas is a Professor of Political Science at DePaul University, Chicago from 1974. He was a visiting professor at University of Pittsburgh, University of Virginia, Budapest University of Economics. US State Department / Fulbright Program designated “expert” on Central & SouthEast European affairs. Honors Distinguished Faculty, Appointment 2009-2012. Nominated for Outstanding Teaching, National Society of Collegiate Scholars. 2008 Honorary degree for "contributions to East-West International Relations" by the faculty of Karl Marx University in Budapest on December 14, 1985. Areas of expertise: former Communist societies, Adriatic/Balkan countries, revolution & terrorism, countries in political transition. Eric S. Morse is the Managing Editor of the National Strategy Forum Review, the quarterly publication of the National Strategy Forum, a non-profit, non-partisan think tank dedicated to research and public education about U.S. national security and U.S. national strategy. He is also the Secretariat Manager of the Inter-University Seminar on Armed Forces and Society, a civil-military relations organization, where he helps to administer the program and manage international conferences. He is currently working towards his Ph.D. in Political Science at Loyola University Chicago, where he specializes in international relations/comparative politics, U.S. foreign policy, and U.S. national security. He received an MA in Political Science from Northeastern University in Boston, while working as a research consultant and executive assistant for the Ash Institute at Harvard University’s Kennedy School of Government, an institute dedicated to studying and promoting best practices and innovation in democratic governance. Born and raised in California, he attended Pomona College where he studied Political Science and Economics. Ms. Cecilia A. Mowatt, ESQ, J.D., M.B.A.
With 25 years professional experience as an attorney, executive and management consultant, Cecilia Mowatt serves as Executive Vice President for Inclusive Development, and Programing Director for Latin America and the Caribbean for the World Engagement Institute (WEInstitute). Promoting economic inclusion in the global economy, Ms. Mowatt creates dialogue and awareness of differing perspectives to inform strategies and build capacity for increased participation in the development of communities. Leveraging her public and private sector experience, Ms. Mowatt works with companies, governments, and NGOs to create public private partnerships that create sustainable inclusive communities that are healthy, safe and prosperous for all. Her Colombian Jamaican heritage provides the foundation for her passion for multicultural exchange and international cooperation. Ms. Mowatt brings a perspective that focuses on holistic economic development which integrates the interdependent issues that are involved in any project such as education, land use, property rights, commerce, trade, health and welfare. She advocates inclusion of the broad spectrum of stakeholders in development issues that incorporates government, private enterprise and civil society at all levels. A long time proponent of Diversity Leadership, Ms. Mowatt works as a liaison to leverage the embedded knowledge within organizations involved in projects and assists them in connecting to those resources outside the organization within the community to achieve context sensitive solutions. 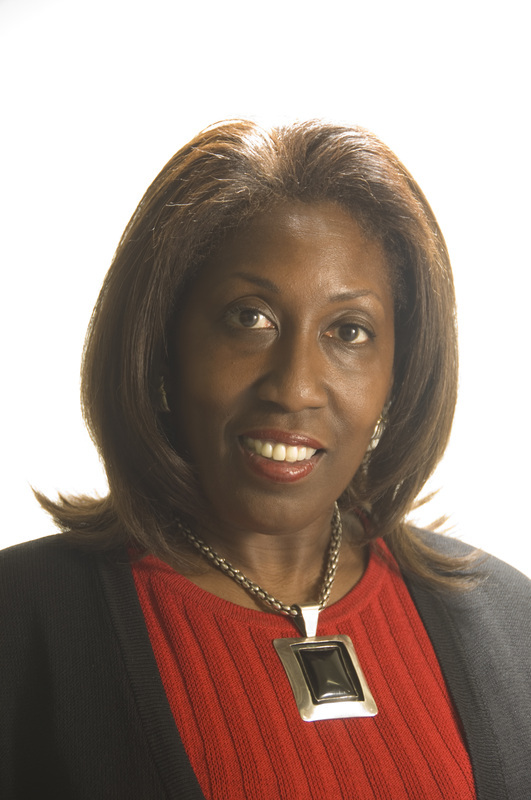 Currently, Ms. Mowatt is a member of the President’s Circle of the Chicago Council on Global Affairs and serves on the boards of Family Focus, Inc. and the Episcopal Church Foundation. Prior to joining WEInstitute, Ms. Mowatt functioned as a catalyst, coach and a doer for a diverse array of clients through her management advisory consulting practice, Strategies In Site, Inc. which offers services in strategic planning; legal analysis; and project implementation. The insights she provides are derived from her deep corporate experience in developing, supporting and monitoring business operations and performance. Tackling the issues of risk mitigation; policy and budget formation; monitoring performance against key performance criteria; capacity building and leveraging resources through individuals, as well as meeting the need to properly vet, train and manage, contractors, partnerships and alliances is something she has done successfully throughout her professional career. Her clients’ projects included education, school creation, infrastructure management, business development and economic development. Ms. Mowatt speaks and writes on the subject of Diversity Leadership and has done so for international industry organizations and at various national conferences. Her professional affiliations with groups such as CoreNet Global, the Chicago Council on Global Affairs and the World Trade Center of Illinois have given her further insights into the practical matters of embracing and leveraging diversity given the globalization of business. Both the J.D., M.B.A. from University of California Berkeley and A.B. from Stanford University that Ms. Mowatt earned had at their foundation the fundamentals of Organizational Behavior and Sociology which provide her grounding in supporting human capital development and leveraging it to get to the best business results. A first generation American whose parents immigrated to the U.S. as exchange students from Jamaica and Colombia (via Panama), Ms. Mowatt has worked internationally in economic development in Europe, Colombia and South Africa. Brian Stouffer received his Masters of Arts in Diplomacy with a concentration in Conflict Management and Resolution from Norwich University in June 2011. His specialties include writing in new media, conflict management and resolution and international affairs. He has worked in the insurance industry and as a freelance writer since completing his undergraduate studies at University of Notre Dame in 2004. He completed a USAID Grant writing training with the World Engagement Institute (WEInstitute) and he is assisting the Somali Strategy Forum (SSF) in their web design and communication plans. He currently lives in Chicago with his wife, Emily. Gloria Varona Williams was the VP of Finance and Management for Prevent Child Abuse America since 1972. In that capacity, she oversaw the financial activities of the organization. PCA America is a national organization, dedicated to making the health and well being of children a top priority for everyone. PCA America’s programs, research, media campaigns and other activities at the state and local levels provide leadership to child abuse prevention efforts nationwide. She now serves as a consultant. While working at PCA America, Gloria also served, as Controller of the W. Clement and Jessie V. Stone Foundation, its President Donna J. Stone, was the founder of Prevent Child Abuse America. The Foundation’s mission is to make this is better world for this and future generations. In her capacity as controller Gloria oversaw the foundation’s assets, and was part of the finance committee that managed the Foundation’s endowment. Gloria served on the board of the International Society for Prevention of Child Abuse and Neglect. She has served as financial advisor of ISPCAN since 1986. ISPCAN is a membership organization with representatives from over 90 different nations; ISPCAN is the only multi-disciplinary international organization that brings together a worldwide cross-section of people to work toward the prevention of child abuse, neglect and exploitation globally. 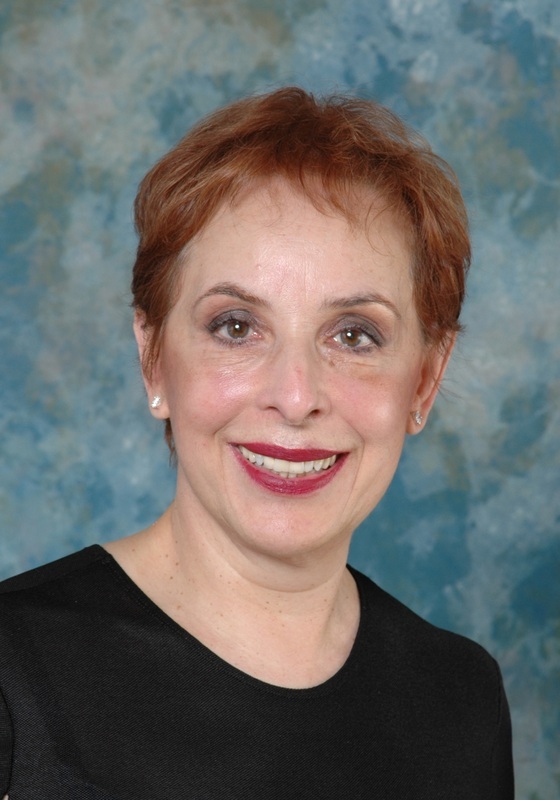 In 2002/03 Gloria served as treasurer of the International Association of Physicians in Aids (IAPAC). IAPAC’s membership exceeds 17,000 physicians and allied health professional in over 100 countries. They battle complacency and advance commitment in the global battle against HIV/AIDS. Greg Wangerin, an avowed humanitarian, is the Executive Director of The United States Association for UNHCR (USA for UNHCR) supporting the UN Refugee Agency's humanitarian work to protect and assist refugees around the world. Prior to this appointment he served as the Executive Director of RefugeeOne, a Chicago-based refugee resettlement agency. He Greg has devoted 32 years to humanitarian work around the world, serving refugees directly in Asia, Africa, Europe, and now in North America. He worked 22 years as an international officer with the UN refugee agency, the United Nations High Commissioner for Refugees (UNHCR). UNHCR appointed Greg to nine separate duty stations, including Kenya, where he participated in site development for the Dadaab Refugee Camp complex for Somali refugees in east Kenya, now 'home' to over 460,000 refugees. He helped establish the Kakuma Refugee Camp in northwest Kenya's Turkana region, originally prepared for the so-called "Lost Boys" of Sudan. In Pakistan, he revamped repatriation programs, leading to the voluntary return of almost 500,000 Afghan refugees. Earlier, in the Philippines, he supervised the screening of and assistance for the “Boat People” from Viet Nam, and ensured resettlement processing and pre-resettlement training for Amerasian children, the Lao, and survivors of Kampuchea's "Killing Fields". While assigned to UNHCR's Geneva Headquarters, Greg helped raise over $1.3b to support refugees' needs globally. Prior to UNHCR's recruitment of him, Greg served as a case manager in Hong Kong for the US State Department's refugee resettlement program, with the Lutheran Immigration and Refugee Service (LIRS). Greg joined RefugeeOne in February 2002 (then known as InterChurch Refugee and Immigration Ministries), and has led the agency through growth, re-branding, and expansion, especially of its funding base. The re-branding efforts helped make the agency more welcoming to clients, donors and volunteers of all religious beliefs, and has strengthened the agency’s capabilities to obtain support from secular and corporate funding bodies. Greg commits significant energies to advocating for refugees, most recently concerning governmental support to help ensure their dignified resettlement. For this purpose, he co-founded The Golden Door Coalition in Chicago in 2010. Greg attended the University of Illinois at Chicago, and then graduated Phi Beta Kappa from Colorado State University. He completed the Non-Profit Executive Management Program at Northwestern University's J.L. Kellogg School of Management. In addition to his passion for helping people who have fled war, terror and oppression, Greg also spent the early part of his life involved in music. His educational credits include a minor in music, and he plays the trombone. In the early 1970s, he worked constructing, tuning and repairing pipe organs in Illinois, and across the Rocky Mountains - from Casper, Wyoming south to Santa Fe, New Mexico. Karen A. Egerer has more than thirty years experience developing and implementing international training and educational programs. In the fall of 1989, Karen formed Heartland International, a Chicago-based nonprofit organization, specializing in the design, implementation and evaluation of international programs and projects. Since then, Heartland International has implemented projects for political leaders, parliamentarians and entrepreneurs from the emerging democracies of Eastern and Central Europe, the former Soviet Union, Africa and Asia. These training and education programs have focused on methods of strengthening democratic values and institutions and promoting microenterprise development. Prior to forming Heartland International, Karen served as a consultant on the staff of the Program on Peace and International Cooperation at the John D. and Catherine T. MacArthur Foundation. In this position, she was responsible for evaluating funding proposals, surveying international grantmaking and designing new grantmaking programs. 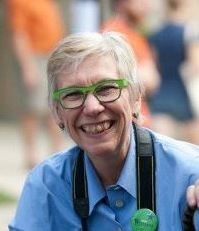 At the University of Illinois at Chicago, Karen served as coordinator of international programs. She was responsible for building relations between the University and overseas institutions; city, state and federal government agencies; and leaders in the international affairs field. Among the programs that she designed, implemented and gained funding for were a business and international education project funded in part by the U.S. Department of Education; a USIA sponsored reciprocal exchange program for members of the Illinois General Assembly and the Supreme Soviet of the Russian Federated Republic; and a privately funded Center for International Students and Scholars. Karen was also responsible for assisting faculty members identify funding sources for their international projects and for engaging interdisciplinary groups in the development of new projects, such as an academic exchange to develop a Thai Studies Program. Karen was the program director at the Mid-America Committee for International Business and Government Cooperation, a private organization whose members included the chief executive officers of the major corporations based in the Chicago area. As program director, she was responsible for designing and implementing programs that brought together heads of state and senior government officials with Committee members. She also planned and organized a series of seminars designed to train corporate executives in the techniques of doing business in specific countries. As co-director of the World Without War Council in Chicago, Karen successfully managed numerous programs on international issues ranging from human rights to arms control. Her work included editing a volume on the SALT II agreement, compiling a directory of world affairs organizations and managing an Illinois Humanities Council funded series on arms control agreements. Karen, a graduate of DePaul University, is a member of the Board of Directors of the Chicago Photography Center, the President’s Circle of the Chicago Council for Global Affairs and the Illinois Steering Committee of the Campaign for US Global Leadership. She has teaching experience at the middle school level; has served as a teacher trainer for the Archdiocese of Chicago in the field of global education and as a consultant to the National Catholic Education Association in the same field. Karen was the Chicago representative for the President's International Youth Exchange Initiative. For her work with Call to Action, she received a community service award from the Association of Chicago Priests. She was honored by her high school as a Distinguished Alumna. 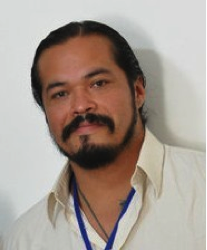 Tomás Ramírez, M.S., is the President of Infinite Conversations, a privately owned provider of consulting and training services that engages in gang outreach and intervention, as well as in the training of high schools administrators and staff, police officers and Juvenile Court Judges. He is a Conflict Resolution and Reconciliation facilitator, as well as a Cultural Sensitivity Training expert. To this end, Mr. Ramírez develops goal oriented plans in conjunction with therapists, parents and youth, and instructs on Conflict Resolution and Reconciliation techniques. Mr. Ramírez’ methodology emphasizes the utilization of indigenous, traditional, and contemporary mediation and intervention models. In undertaking his work, Mr. Ramírez regularly develops programs to address youth homelessness, including the establishment of drop-in centers for homeless youth. He also conducts facilitated train-the-trainer workshops for: capacity-building NGOs; crisis intervention specialists; youth-oriented emotional development programmers; cross-cultural communication facilitators; and outreach programmers and development staff. He is a gifted speaker and regularly lecturers on gang culture and gang mediation. He is of Chichimeca ancestry and is a member of various indigenous organizations in the Chicago area. He serves as a minister for the Native American Church. Mr. Ramírez’ previously served as the Crime Prevention and Street Outreach Coordinator for the Evanston, Illinois, Police Department, and as a Popular Education Facilitator for the Universidad Popular. He holds a Master’s of Science degree from the DePaul University College of International Public Service and a Bachelor’s Degree in Latin American Studies and Community Building from DePaul University. The World Engagement Institute (WEI) is a Chicago based international nongovernmental organization (INGO) registered as a tax-exempt 501(c)(3) non-profit corporation in the State of Illinois, USA. The mission of the Institute is to connect international development professionals with universities, academics and international organizations. Through its academically centered and multidisciplinary approach, WEI provides capacity development for transitional justice, gender equality and human security. WEI is a tax exempt organization (EIN # 45-2380776), and your contribution is tax-deductible as allowed by law. Please contact WEI if you need additional documentation. Thank you for supporting our mission and programs for international capacity development.